The Ronald McDonald House Omaha Construction Project features a (2) story North wing addition and a (3) story South wing addition. Due to the mission of the House, it is imperative for all facilities to remain completely operational for the duration of the project. Ronco Construction has created a phasing plan, and schedule to allow this to happen. The house will relocate the families for a short duration during the summer of 2018 so the construction and renovation of the existing house may occur. 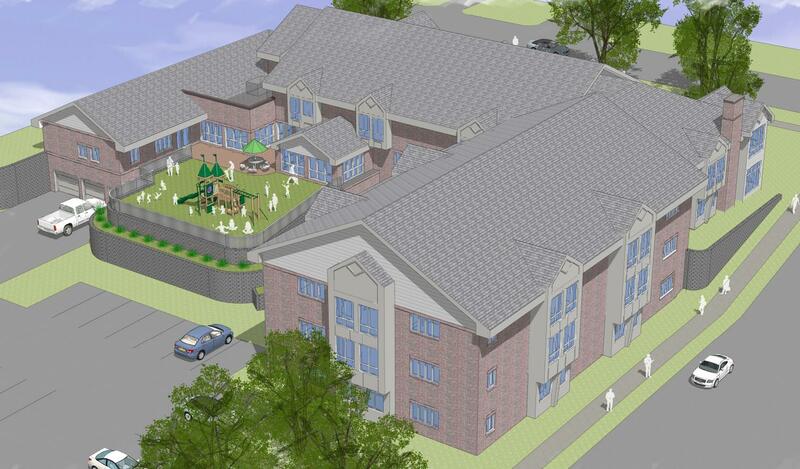 Once this truly unique project is completed, the Ronald McDonald House Omaha will have doubled its capacity to serve families. The new house will feature 40 family suites, a new kitchen, toy room, living rooms, dining rooms, food pantry, lactation room, contemplation room, check in area, volunteer stations, mail room, staff offices, board room and community classroom. Also, one of the biggest impacts of the completed project is a first for the Ronald McDonald House, brining treatment to the patients. Nebraska Medicine will operate an in-House treatment area – providing an unprecedented level of care with the goal of improving patient outcomes and the overall guest experience. Ronco Construction is the Construction Manager for this project with Holland Basham Architects leading the design team. Construction is scheduled to be completed by Spring of 2019.